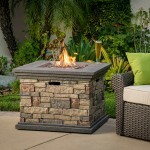 The size of your fire pit is something that must be considered whether you plan to buy or build your own. 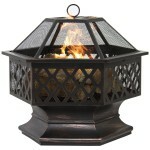 The size of a fire pit is most especially important for wood burning fire pits because as you know, the size of the fire pit will determine how much firewood it can accommodate which will translate to how much heat it will generate. So before you go shopping or building a fire pit, the first thing you want to determine is how big you want your fire pit to be. 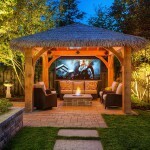 According to the experts, when building or installing a fire pit, it is recommended that for smaller ones, the width should be at least 3 feet wide while the larger fire pits suitable for large gatherings should be at least 6 feet wide including the thickness of the walls. So the total width of the fire pit including the burning area. In the case of an above ground fire pit, height must be taken into consideration. 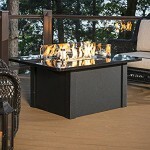 You don’t want your fire pit too tall as this will make it hard to enjoy the fire pit warmth while sitting in chairs. 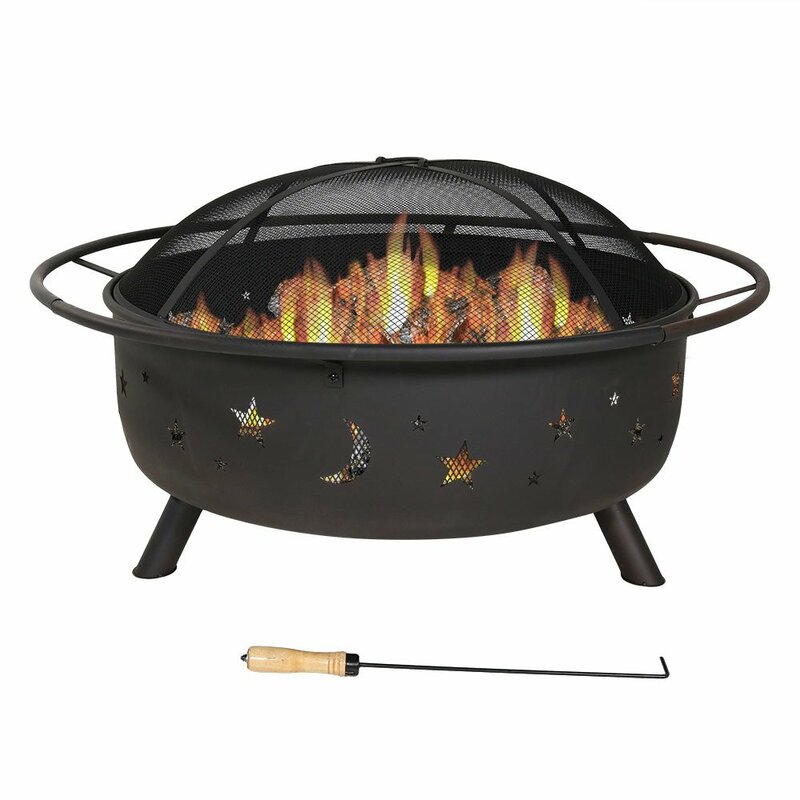 A fire pit that is too short will be inconvenient if people have to keep bending just to get closer to the flames to feel the heat. 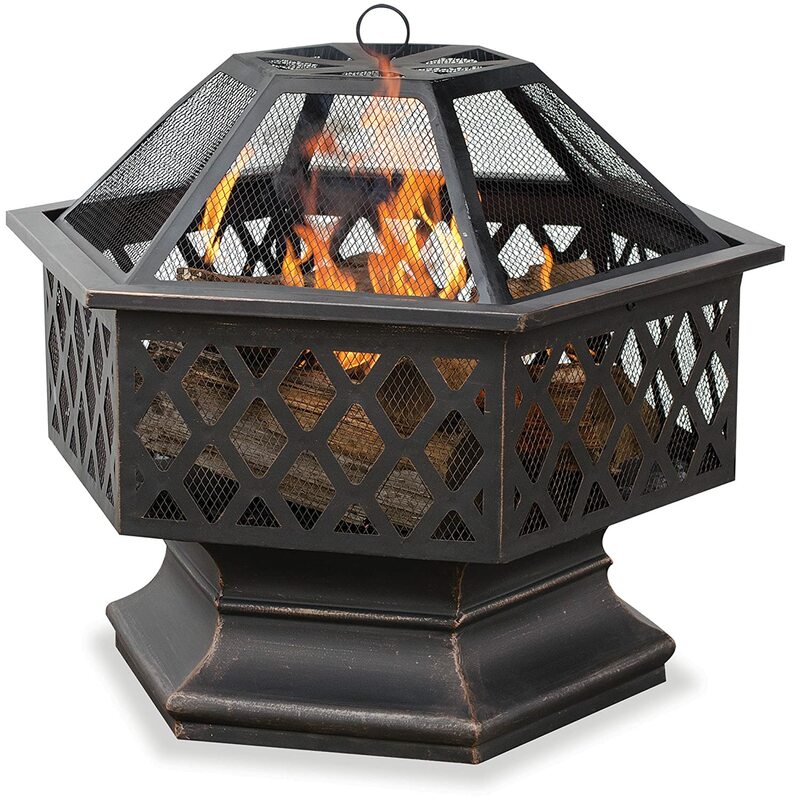 Experts recommend that for an above-ground fire pit, 12-14 inches tall would be ideal, just a few inches shorter than the standard height for outdoor seats. This way, people won’t have to bend or get closer to the fire pit just to feel the warmth. 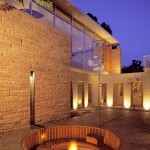 The benefit of buying a fire pit is that they are available in numerous sizes and shapes to suit different home needs. 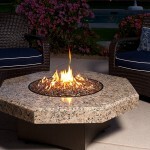 For gas fire pits, the size of the fire pit may not be very important for heat. What matters is the BTU rating of the fire pit. For wood burning fire pits, large and deep fire pit have the benefit of being able to accommodate more logs which means more heat and also eliminates the need to keep adding wood logs every now ad then just to keep the fire going. 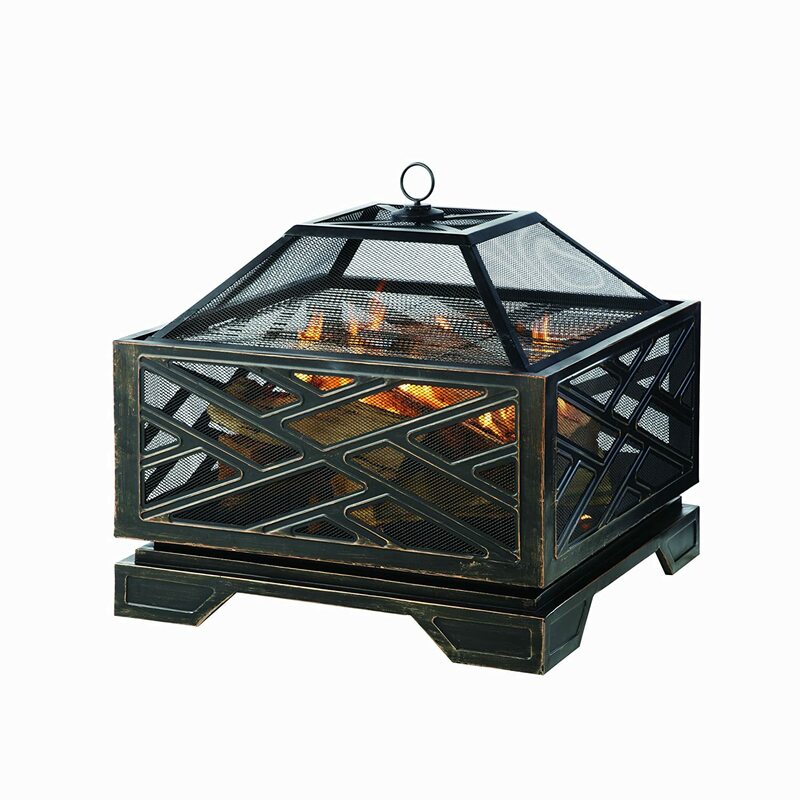 It is made of durable 75mm steel and finished with a high temperature rustic patina paint. Features star and moon cutouts on the fire bowl. 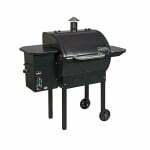 Measures 42 x 42 x 23 inches including ring and spark screen and weighs 36 pounds. 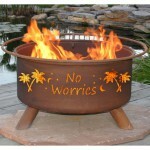 The fire bowl alone measures 34 inch diameter x 10 inches. 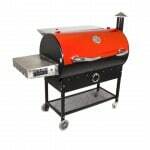 Comes with a spark screen to contain the embers, built-in grate strips to hold wood and a firewood poker that also doubles up as a lifting tool to safely remove spark screen. 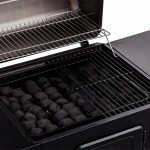 Comes with a built-in log grate, mesh spark screen, poker tool and weather cover. 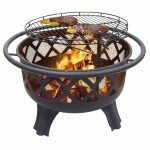 Fire Bowl Dimensions: 34 diam. x 10.5 inches deep. 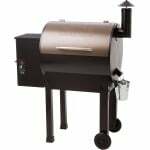 Crafted from with oil rubbed bronze finish. 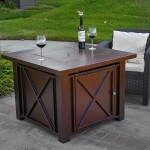 Steel constructed with a rubbed bronze finish. Comes with a mesh spark guard cover and a 20-inch poker that you can also use to lift the spark guard. 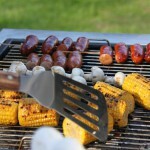 A chrome cooking grid for grilling is also included. For consistent fires the grate has built in air vents for air circulation. Air holes at the bottom for water drainage. 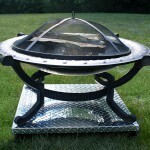 Has this post answered the question of how big your fire pit should be? Remember that if your fire pit is too small, it will only be ideal for few people. If it is too big, communication around it could be hindered.